Gary Peterson is a Registered Craniosacral Therapist (RCST®) who has been teaching and practicing energy therapies for over 30 years. He teaches Biodynamic Craniosacral Therapy trainings, Settling trainings and Working with Babies classes at various locations around the United States, as well birth surround workshops and other therapeutic work for the nervous system. 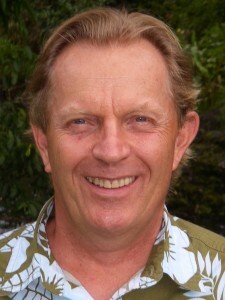 His teaching and private practice are inspired by his strong desire to understand and alleviate the deep causes of suffering brought about by stress and trauma to the nervous system. He is especially motivated to help babies, moms and their families to resolve the crippling effects of traumas and stresses that happen during gestation, birth and early neonatal life. Gary’s first book, Settling: Simple Ways to Calm Your Nervous System, will be published in 2016. This self-help manual gives you a set of vital skills for regulating your nervous system to experience balance and relaxation. Gary and his wife Bonnie have 3 grown children and live in Petaluma, CA.